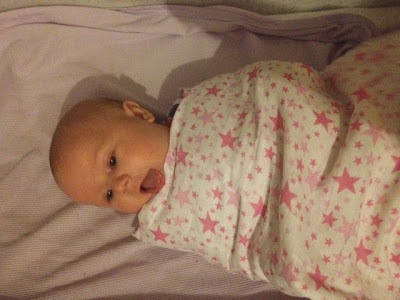 A few weeks ago Elsie was sent a set of Bambino Mio's swaddle blankets. Now I am already a Bambino Mio fan and regularly use their fabulous nappies on Zach and so I was intrigued to see how good their non nappy products were! The Bambino Mio swaddle blankets are basically giant muslins and I love muslins! They have so many uses, fold up small and are easily washed and dried. What's not to love? The great thing about these are the size. I first used them as swaddle blankets but Elsie soon wanted her freedom and didn't want to be swaddled any more but I found she loved to sleep on top of her swaddle blanket. So I always leave one on top of the sheet in her bedside cot and silly as it sounds she gets upset if it isn't there as it has become a comfort to her. I also use one as a sheet in her pushchair carrycot as they are so easy to clean and dry between uses. I find it incredibly handy to have one of these swaddle blankets in my change bag in case of any emergencies. 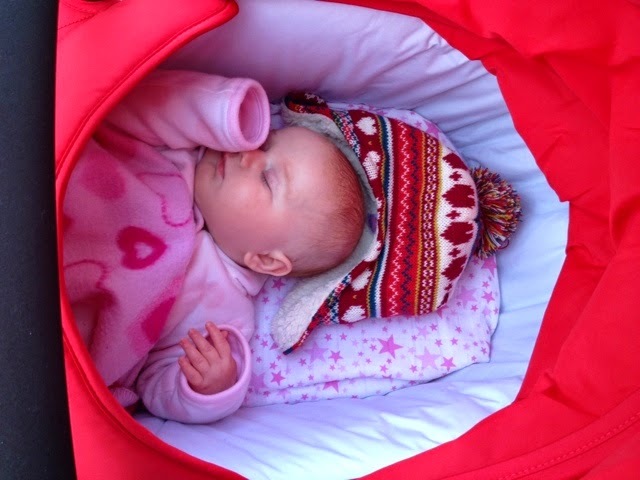 It can be used as an extra blanket in the pushchair when it's chilly, or best of all if your baby gets a runny nose or is sick at all it is great for mopping up anything and can be quickly rewashed. I could talk about all the different uses it could have but that would be one huge blog post and I'm sure you get the gist. 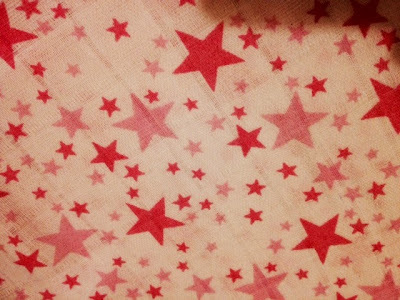 I love the patterns on the swaddle blankets the pink stars on white is truly beautiful and it is also available in blue stars. I would love to see it available in few different colours though. I thought maybe black stars on grey or something something similar would be really cool and gender neutral! The price per pack is £16.99 and for that you get two large swaddle blankets. Each blanket is 120cm x 120cm in size. I definitely think the Bambino Mio swaddle blankets would make an excellent thoughtful gift for a new baby or even a baby shower gift for a pregnant lady. I would be pleased to have received them myself. They even have regular special offers so you might get a great deal when buying them. If you subscribe to the newsletter on their website you will get these offers straight to your inbox. The Bambino Mio swaddle blankets can be found on the website HERE along with all of their other fantastic products. I would seriously recommend having a browse! I received the item featured free of charge for the purpose of this review. All opinions are my own.